Recognized worldwide for bringing the best of international musical talents under one roof, showcasing music from every genre – Indian classical to jazz, the Lakshminarayana Global Music Festival (LGMF) will kick off its 25th edition in Chowdiah Memorial Hall, Bangalore, on January 10th, 2017 and in Sri Shanmukhananda Hall, Mumbai on January 13th, 2017. These concerts will be dedicated to the birth centenary of Lord Yehudi Menuhin, the most prolific violinist of the 20th century. 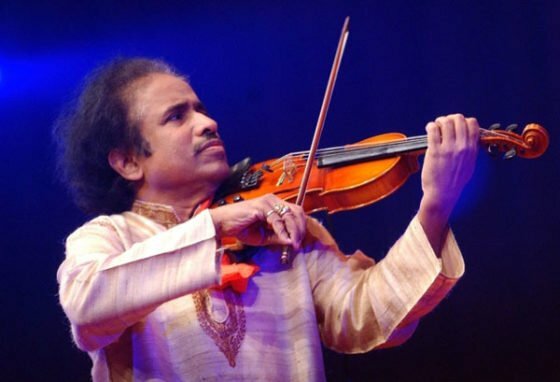 Founded by violin legend Dr. L. Subramaniam and Viji Subramaniam, the Lakshminarayana Global Music Festival (LGMF) was launched by Bharat Ratna MS Subbulakshmi in 1992. Since its inception, LGMF has hosted some of the biggest names in the music industry including Lord Yehudi Menuhin, Bismillah Khan, Gangubai Hangal, Pandit Jasraj, George Duke, Stanley Clarke, Al-Jarreau, Steven Seagal and Symphony Orchestras. The fest has been held in 55 cities across 22 countries till date. This year, in addition to its presence in Bangalore, Mumbai, San Diego, Chicago and New York, the festival will also be held in the UK and Germany for the first time ever. Moreover, music enthusiasts have yet another reason to enjoy the show as it is free for all. The accompanying artists for Bangalore include – Frijo Francis (Keyboards), Alwyn Fernandes (Guitar), V.V.Ramanamurthy (Mridangam), Satya Sai G (Morsing) and Deva (Percussion).